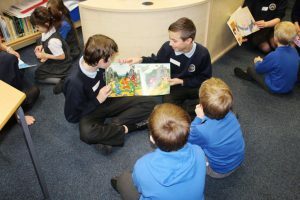 On Friday 8th February we were delighted to welcome Mrs Goodman’s Y2 class from Ledbury Primary School for another Story time in the Library. This time it was Miss Baker’s Y8 English class who hosted the visit and they did so wonderfully! 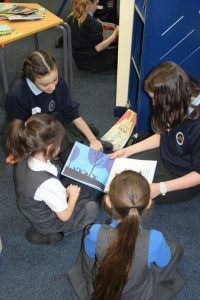 The Y2’s were treated to a selection of fantastic stories and really enjoyed their visit. 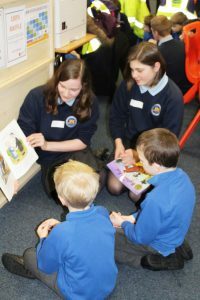 Thank you to the Y8’s for being such great reading role models and entertaining the Y2’s so well.